Just a day after giving up 12 hits in a rain shortened loss, the New York Yankees pitching staff shut it down by allowing just one hit as the Yankees beat the White Sox 4-0. 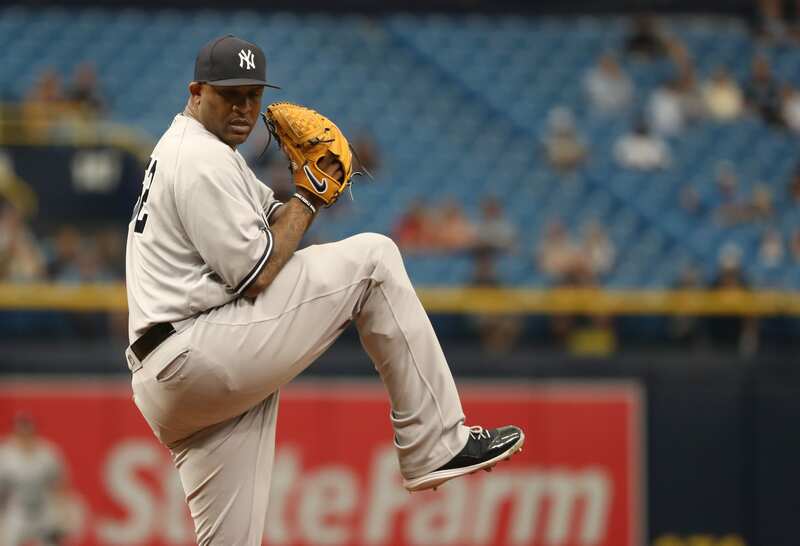 After health issues, CC Sabathia made his season debut and was excellent. He pitched just five innings as the Yankees didn’t want to stretch him, but gave up just one hit. He struck out three and walked nobody in his 62 pitches. CC had the slider working well, getting all three strikeouts with it. He did what he does best by working for soft contact and trusting your defense. The one hit he gave up was on a cutter that was a bit to up in the zone. In conclusion, a great return for the lefty here in his final season. The bullpen finally decided to show up on Saturday, pitching four no-hit innings. Domingo German came in for two innings of relief and was credited with the win. Zack Britton and Aroldis Chapman had the eighth and ninth innings respectively, each pitching 1-2-3 innings and picking up a strikeout. For once, the offense was pretty balanced on Saturday. The Yankees had seven hits and each one came from a different player. Going into the bottom of the seventh, the game was actually tied but the Yankees changed that by putting up a three spot. They used some small ball as Luke Voit had a pinch hit RBI single, followed by a sacrifice fly by Kyle Higashioka and a suicide squeeze by Tyler Wade. In the eighth inning, Aaron Judge punched one into the seats in right for a short 335 foot home run to make it 4-0, that being the final score. The rubber match between the White Sox and the Yankees will be on Sunday at 1:05PM. The game will be on YES Network and FOX Sports Go. Masahiro Tanaka gets the ball for the Yankees against Carlos Rodon of the White Sox.